Have you gone to dog training classes for puppy, obedience or behavior training? Many families have tried it all but have not gotten the results desired because it does not actually work. All the goals have gone nowhere and the feeling of giving up hits like a brick. This can be very hard on families that have gone through a dog training program somewhere. Does this sound familiar, are you like that, too? Or, do you want to avoid having that happen? What would it feel like if you knew that your Poughkeepsie dog trainer was one that stood behind his work and guaranteed every dog training program? What would it mean to you knowing there was no risk in choosing your dog training company? Your dog is part of your family and that is what motivates my success and allows me to offer guarantees that no other dog trainers can offer. All the programs have a guarantee. I will solve any behavior issues (jumping, barking, chewing, pulling on the leash, not coming when called, etc.) and your dog will focus on you for better communication. You will have a dog that is always reliable and will always LISTEN to you. The programs include an initial evaluation for designing the right program that will fit your dog and family, whether it be a private one-on-one program or week long program, you choose. We can customize a program for any budget, need, goal, breed, age, or owner! Free evaluation. I meet with you and your dog to tell you the differences between the programs and give you different options to decide from that sounds good to you and your dog’s needs. Based upon meeting your dog, I will give you all of the information to improve your dog’s life and happiness (health, diet, grooming). The longer time your dog spends with me, the sooner he or she will get to a certain point in their training (with reliability around distractions, for example), and of course the farther along they are when they first come home and we start training YOU. All of the programs include teaching you, the family, so it’s easy to maintain. You’ll be taught everything you need to know and get lots of ongoing support from me. All the programs are guaranteed. No dog will be turned away because of their behavior, age or ability to learn. You will not be left out without help after completion of the programs, I will always be a resource at your disposal. I am always here for you and your dog. We have a two part guarantee that includes money back guarantees and performance guarantees. All programs are designed to adapt to your dog’s needs and you make your dog the best they can become. Unlike other dog trainers, I believe all dogs can become wonderful. Our Poughkeepsie Free Dog Training Evaluation process allows you and I to work together to craft a program that will address your dog’s issues 100%. Offering private one-on-one or board & train programs depending on your goals and preferences. All boarding school programs come with private lessons and some programs can include lessons at your home, which many dog trainers don’t offer. 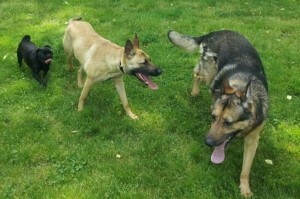 I offer programs unlike any other dog training programs. 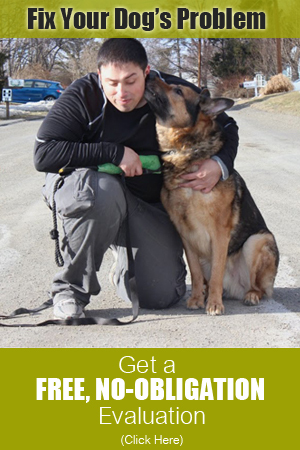 Click below to explore the training programs Dog Training Beyond has to offer! As you can probably tell, we do things a little differently! Give us a call now to have a chat about your dog! (914) 469-2070 or sign up for your FREE Evaluation today.